The 24th Critics’ Choice Awards are in full swing and we’re taking you behind the scenes. Tons of stars showed up Sunday for the second wave of award-giving for the best TV shows and movies of the year — according to critics anyway, from Santa Monica’s Barker Hangar. 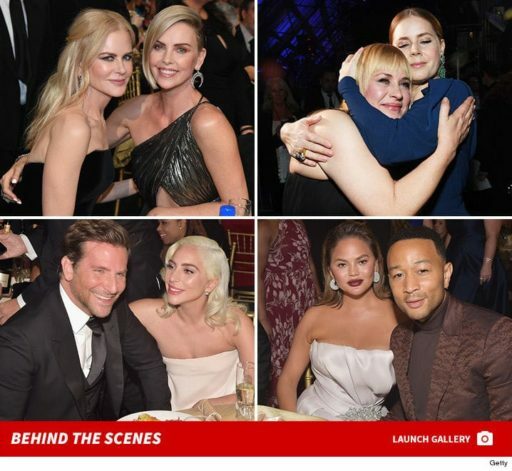 Some of the A-listers … Bradley Cooper, Lady Gaga, Sam Elliott, Spike Lee, Adam Driver, John David Washington, Charlize Theron, Nicole Kidman, Viggo Mortensen, Regina King … and a ton of other big celebs too. Stay tuned to find out who took home some hardware.